The Doctor of Ministry is a 35-credit hour program that will be delivered through a hybrid approach involving independent study, online seminars, and residency seminars. In addition you will participate in the development and implementation of a significant ministry project and subsequent dissertation. Seminar coursework begins up to 2 months prior to seminar class time. The student will be expected to plan, carry out and evaluate a doctoral level project. You can take your residency and online seminars simultaneously or a single seminar per semester. You should anticipate an additional year to develop your ministry project and report. You must complete the program within 6 years. **On-site meeting is included in the residency seminar week. The Doctor of Ministry (D.Min.) 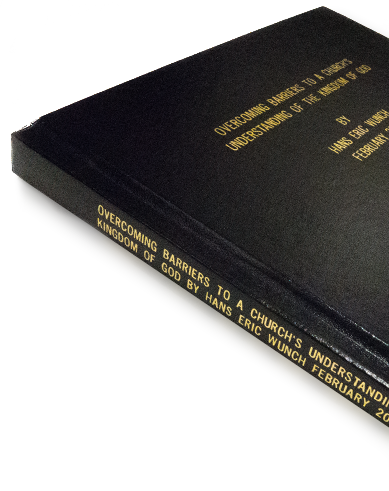 is a professional doctoral degree focused primarily on the practice of ministry. A Doctor of Philosophy (Ph.D.) is primarily a research degree with greater focus on making a contribution to the theory of ministry and less focus on practical issues in ministry.